Remarkable and absolutely stunning, I Have Lost My Way is an incredible book about believing in human connection and good in the world. It’s my favourite book Gayle Forman has written since Just One Day. And that’s saying something, since Just One Day is my favourite YA book ever, and Gayle my favorite YA author. There’s no one else out there who understands and believes so deeply in the power and magic of relationships like Gayle. I Have Lost My Way is a book that will resonate and carry you through those really dark days. It will remind you that people can be good and the universe will sometimes bring you exactly what you need. Based on the synopsis, I didn’t really know what I Have Lost My Way was about. More importantly, I didn’t know whether it was going to live up to my enormous expectations for Gayle’s work. 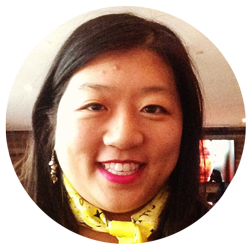 This is a woman who has slayed my emotions so impactfully that I consider my life changed because of her work. I needn’t have worried – and you shouldn’t either. I Have Lost My Way is vintage Gayle Forman. It combines characters who will make you laugh and cry and cheer, all-the-feels self-discovery, and tightly written passages that will make you get the highlighter out. I Have Lost My Way centers on three teens who are all lost on one day in New York City. Freya is an internet-famous singer on the cusp of stardom – but she’s lost her voice. Nathaniel is a former high school baseball player with a complex home life who is lost in New York for the first time. And Harun is a gay Muslim teen who just lost his boyfriend and doesn’t know how to tell his family who he really is. When the three of them meet, it’s a collision that changes the course of each of their lives. For that one day, they take care of each other and explore a city that seems determined to help them find their way again. At 258 pages, I Have Lost My Way is Gayle’s shortest and most tightly written novel. Every word seemed deliberate and focused. The format of the novel also helped make it a strong, perfectly weighted read. I Have Lost My Way alternates between third-person to explore what’s happening in the moment, and first-person perspective from each of the three main characters, to explore the past. The form is used perfectly, never seeming like a device, but like the natural extension of how this story should be told. I Have Lost My Way is also a love letter to New York City, to the random and special encounters you might have wandering through the city. As someone who lived there, I can honestly say that I’ve had that feeling several times on days when you have nothing to do and you’re open to new experiences. There’s always something happening and always something to learn from. If you loved those little moments in Gayle’s Where She Went or Just One Day where Mia and Adam or Allyson and Willem find her special places, you will most likely love this book as well. There’s a focus on family and familial relationships with the three characters, and how fraught they can be. I Have Lost My Way explores tragedy and loss and heartbreak, some in very painful ways. Gayle is incredible at slowly peeling back the layers of each characters’ past. She’s also brilliant at contrasting that with the found family you can create and have in just one special or random moment. Freya, Harun and Nathaniel find a way to stay together because they need each other, even though they are virtual strangers. It’s probably the most singularly themed and focused book that Gayle has written. Her belief in the universe righting itself and giving you what you need when you need it the most just shines right through. I smiled, I cried, and I felt all the feels while reading this one. I think you will, too. Like all of Gayle Forman’s work, I Have Lost My Way celebrates art – in this case, music. So obviously, I had to choose a theme song for this book. Freya is a singer with a unique tone to her voice and lyrics that touch you. Sia is one of those artists as well. A lot of her songs would have worked for this book, but this is the one that came to mind. The lyrics speak to how lost the characters are and how much they want to be seen for themselves. I Have Lost My Way will definitely be on my 2018 best of list. It’s that good. And it’s a heartbreaking book in a lot of ways; there are tragedies in all of the three main characters lives that had me gasping in concern. But in true Gayle Forman fashion, it’s also a heart-mending book, embodying her belief in the best of humanity. And don’t we all need a little of that right now? 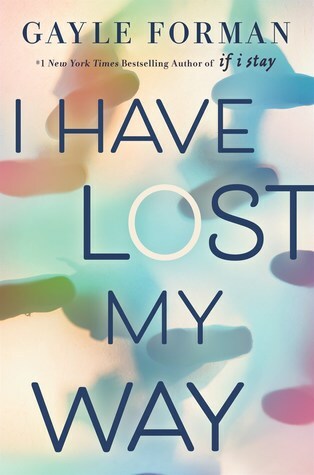 I HAVE LOST MY WAY is out in bookstores now in the US and Canada. Will you be reading it? Have you read Gayle Forman’s other books, like If I Stay, Where She Went, Just One Day, Just One Year, I Was Here or Leave Me? Are you a fan of all-the-feels reads? What are your faves? Let me know in the comments!